The prep time for these tarts does not include the time it takes to make your pastry from scratch. If you’d like to use homemade pastry plan for 15 minutes extra prep time plus some chilling time for the dough. Two versions, one extra molasses-y. Take your pick; they‘re both delicious. 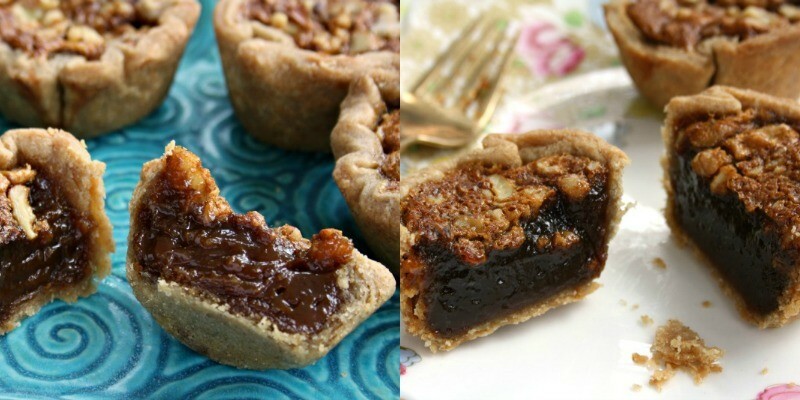 Using molasses in a butter tart results in a sweet, smooth filling that is tangy-sweet. 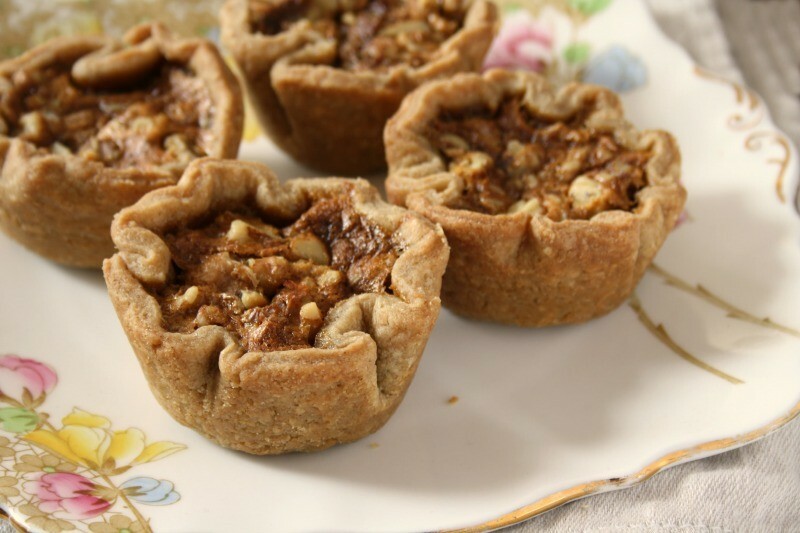 It’s rich to be sure but has much more flavour than butter tarts that call for corn syrup. 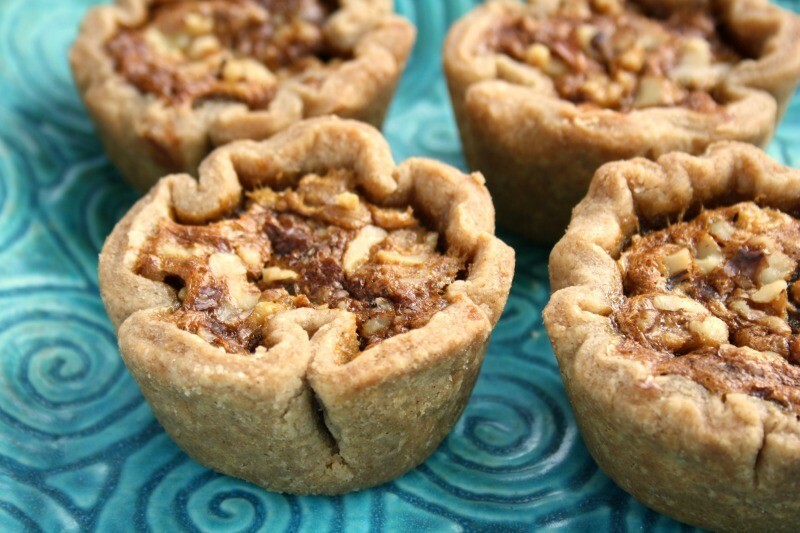 Combined with a flaky homemade pastry these tarts are sweet heaven. The method is identical for both, it’s just the filling proportions that are a little different, resulting in two versions that are each delicious in their own way. I’m not a fan of raisins in my butter tarts but if that’s what you prefer feel free to substitute the walnuts for golden raisins. Creamy-sweet with a rich flavour and subtle tang from the molasses. 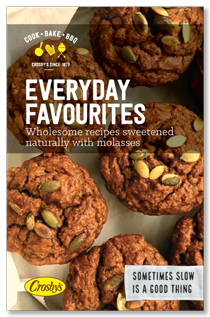 This version has a milder molasses flavour than the version below. Noticeably darker, this version has more molasses, more butter and a more intense tangy-sweet flavour than the tart recipe above. In a food processor combine the flour, sugar and salt. Add the butter and pulse until it is cut into pea-sized pieces. Add cold water and pulse until pastry starts to come together. Turn out onto a lightly floured counter and gather together, kneading ever so lightly if that’s what it takes to form it into a ball. Pat into a disk and chill for at least an hour.  The method is the same for both recipes. Roll pastry to 1/8” thick and cut into discs that are large enough to line your muffin tins. Chill pastry in pan if you have time. In a medium bowl whisk brown sugar, molasses and butter. Whisk in eggs, then vinegar and vanilla. Fill pastry-lined muffin cups about ¾ full and sprinkle over the chopped walnuts. Bake the tarts for 20-25 minutes until filling starts to dome and pastry is golden. Cool tarts in the tin and remove carefully. Best served at room temperature.